GREENVILLE, S.C. — On Sunday evening at Bon Secours Wellness Arena, Casey Ashley completed a journey that began more than three decades ago and seemed to drag on forever these past few weeks. The 31-year-old South Carolina native, who has lived just a few miles from Lake Hartwell all his life, caught five bass that weighed 20 pounds, 3 ounces to cap a moving victory in the GEICO Bassmaster Classic presented by GoPro on his home waters with a three-day total of 50-1. The weight was enough to help Ashley pass Elite Series pro Bobby Lane of Florida, who finished second with 46-15, and Texas angler Takahiro Omori, who placed third with 44-3. The end of the weigh-in meant Ashley could finally take a deep breath after seven weeks when the lake was mostly off-limits due to B.A.S.S. rules and when virtually everyone he saw wanted to talk about him being the favorite to win. Casey Ashley of Donalds, S.C., wins the 2015 GEICO Bassmaster Classic presented by GoPro held out of Greenville, S.C., Sunday, with a three-day total weight of 50 pounds, 1 ounce. Once it began, Ashley made the most of his opportunity. An accomplished singer, songwriter and musician in addition to his career as a pro angler, Ashley opened the event with a stirring rendition of the national anthem before Friday’s frigid opening-round takeoff at Green Pond Landing in Anderson, S.C.
Then he went out and steadily caught fish every day on a homemade fish-head spinner rigged with a Zoom Super Fluke Jr. in pearl white. 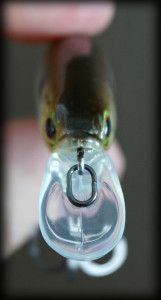 His father, Danny, made him about 20 of the baits before the tournament began. Ashley prefers to fish a jig — and he won an FLW Tour event last year on Hartwell doing just that. 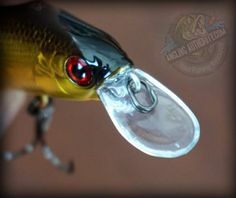 But the more he tried it this week, the more he realized it might sink him if he didn’t abandon the tactic and stick with the baits his dad made for him. “I was going out and getting a good limit with that bait and then going and fishing brushpiles and structure looking for big fish with a jig,” Ashley said. “I burned a lot of time doing that the first two days. With the conditions rainy and overcast on Sunday — just perfect for what he’d been doing with the homemade bait — Ashley stuck with the tactic that helped him catch 10 fish that weighed 29-14 on Friday and Saturday. It paid off as he steadily culled fish throughout the day Sunday. He rose from fifth to first with his catch of 20-3. Omori, the Day 2 leader, was the final angler to weigh in — and when his weight fell far short of what he needed to win, Ashley was overcome with emotion. He was named champion and handed the 45-pound Classic trophy with his own song, “Fisherman” blaring over the speakers and a capacity crowd on their feet inside the arena. He was also proud to be one of the few anglers who has managed to win a Classic on his home waters despite all of the distractions and potential pitfalls that come with the scenario. “I know everybody wanted to win this tournament, but they couldn’t have wanted to win more than I did,” Ashley said. “I broke that record — that nobody can win on their home lake. 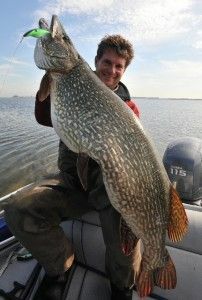 There have been a lot of guys who said they fished the Classic on their home waters through the years when it really wasn’t their home waters. It was just close to their home. “But these are really my home waters. 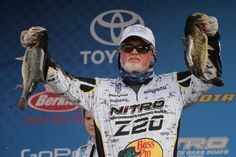 This is my back yard — and that’s special.” Only two other anglers in 45 years have won the Classic in their home state. 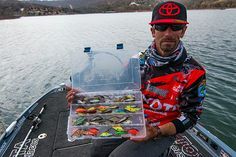 Behind Ashley, Lane and Omori, were Arizona pro Dean Rojas (43-13), Virginia pro Jacob Powroznik (43-1) and New Jersey pro Michael Iaconelli (42-6). The GEICO Everyday Leader Award of $1,000 was presented to Rojas on Day 1; an additional $1,500 was awarded to Rojas for having a GEICO decal on his boat’s windshield. Omori earned the Day 2 GEICO Everyday Leader Award of $1,000, and the $1,500 GEICO decal bonus. Aaron Martens of Leeds, Ala., was awarded the GoPro Big Bass award of $2,500 for his Day 2 big bass of 6 pounds, 11 ounces. 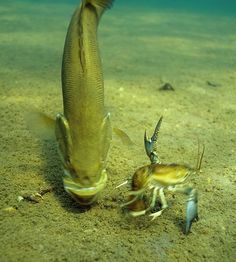 The local host for the 2015 GEICO Bassmaster Classic presented by GoPro are VisitGreenvileSC, Visit Anderson, Greenville County, Anderson County and the state of South Carolina.